My background: I am 5″7″ 190 lbs. I am a bad mamma jamma that rides a fixed gear bike during the day and when I get aggro, I’ll hop on my mountain bike and hit some single track. Testing Grounds: My Garage, and CommuteByBike Picnic. Ratcheting,quick-releases quickly set-up and tear- down. 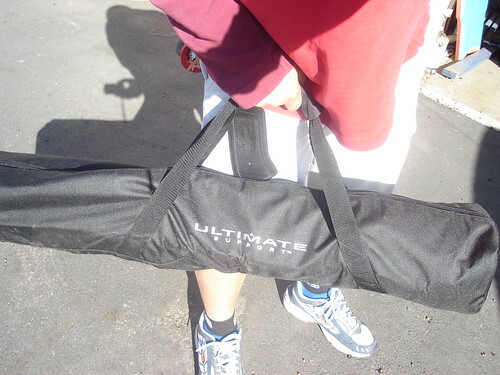 Sets up from 38″ to 58″. 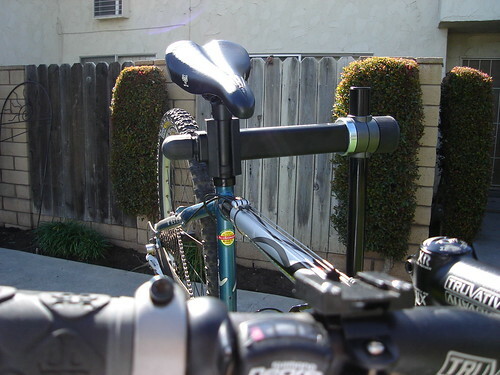 This is the perfect for the home mechanic that loves to work on their bikes. It is also perfect for taking it along on races, bicycle events or any other occassion where you would need to work on a bike. 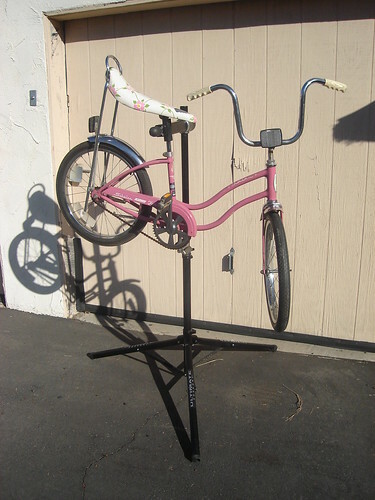 The repair stand can handle any type of bike out there. From vintage bikes to tandem bikes. Yes, you can even use it to service a fork. I used the Ultimate Support Stand to assemble the Xtracycle onto the Ibex Alpine. See all that…its all soft and rubbery to protect your bike’s paint job. Would I recommend it? Yes. I love working on my bikes. If you want to save money on bicycle repairs. 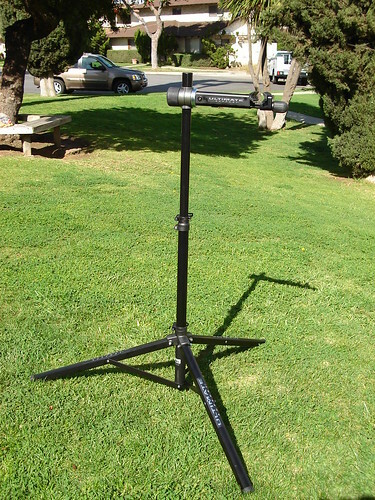 Get one of these stands and learn how to fix them. Ulitimately you’ll save yourself hundreds of dollars. It’s even portable. 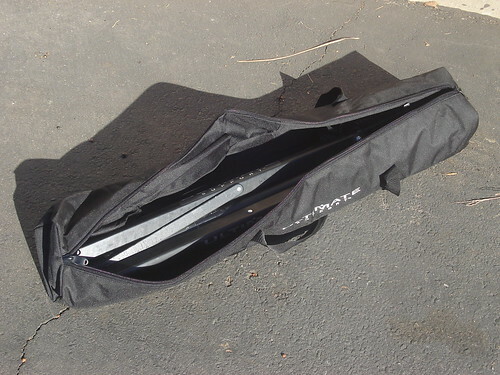 Just slip in into the nifty carrying case. 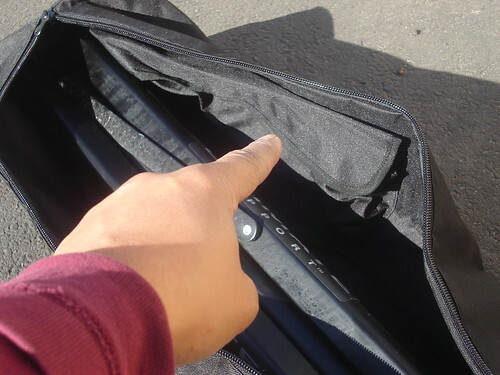 The case even has pockets for your tools. As much as I love this rack, Ultimate Support some how thought otherwise. They discontinued this stand. But they do have other stands available on their site. Thanks you made up my mind for…..Great job.. 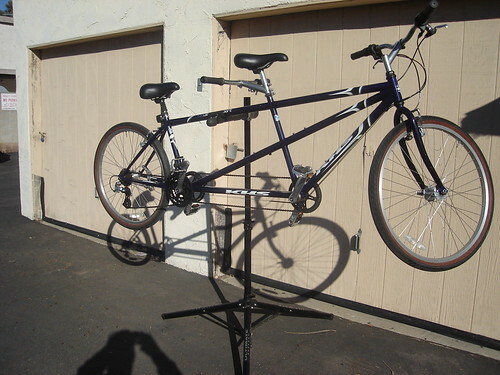 This looks like the perfect bike stand. 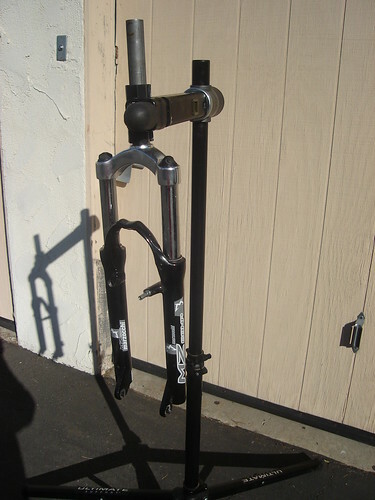 I noticed Ultimate brand bike stands are not too pricey. You get what you pay for, a great quality, durable stand. 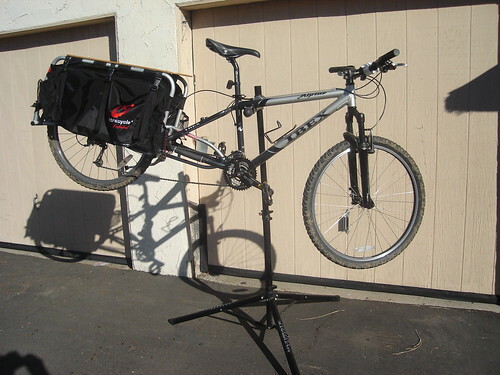 I have had one of these stands for years and I use it to store my bike when I am not riding it. It is great for protecting my bike. 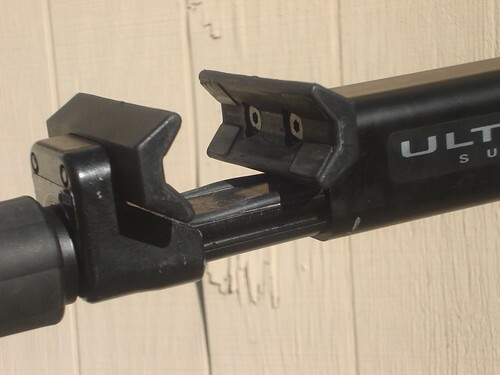 However, the rubber on the clamp that holds the bike has deteriorated (even scratched my bike) and I would like to replace the clamp or rubber to protect my bike again. Any ideas about whether that can be done or where to get parts? Thank you. Apparently they sold off a music-related division of the company, and the name went with it.